Have you ever asked “why would I need a second-look finance program” or “what are the benefits of second-look financing” for your business? Are you wondering which provider would deliver the most advantages for increasing sales and building customer loyalty? Did you know businesses that provide a second-look financing option can engage up to 50% more consumers by providing access to financing for customers declined by the prime lender? Learn why second-look financing is an important element to increasing sales, building customer loyalty, and encouraging repeat purchase activity. Are you ready to grow your business and expand your customer base? Did you know 60% of consumers leave a store or website without making a purchase when they are declined for prime financing and don’t want to take on the high cost of a lease contract? Beaverton, OR— March 20, 2019. Genesis Credit, the premier second-look private label credit business in the United States, announced a major milestone: achieving two billion in total originations since the launch of the business in 2011. Genesis Credit is now the dominant leader of second-look financing, supporting more than 400 retailers and 2.5 million customers in over 16,000 locations with flexible, simple, and omnichannel financing solutions. 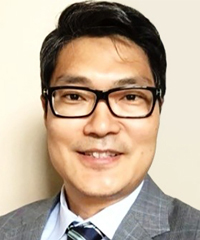 Beaverton, Oregon, January 8, 2019 — Genesis Financial Solutions announced Steven Lee has joined the company as SVP, Business Development for Genesis Credit, the private label financing business unit of Genesis Financial Solutions. The programs offered through the Genesis Credit brand allows retailers, vendors, and contractors a way to provide customers, who are typically turned down by prime lenders, access to high quality financing solutions with flexible payment plans and attractive promotions. Competition is fierce in today’s economy, making it even more critical for home improvement businesses to find new ways of closing sales with customers. Many businesses lose opportunities every day by not offering tiered financing options and overlooking a huge market segment: consumers with less than perfect credit or a limited credit history. The Haven Of rest is a homeless shelter that serves Men, Woman and children in the Akron area. They serve 3 meals per day, 7 days a week to the areas homeless. Genesis got involved in May of 2018. Every Thursday evening groups of Genesis employees donate 2.5 hours of their time at the shelter. Groups number between 6 and 15 people depending on the work that needs done that evening. We Set up for and serve meals, wash dishes and work in the kitchen. Since May 17 th Genesis employees have donated over 183 hours in service to the areas homeless. Thanks to our Genesis Credit employees for participating in Tuesday's Oregon Food Bank team event. During the shift, OFB calculated that 8,221 pounds of food were processed and 6,851 meals were created. The team is grateful for the opportunity to support the community – each person was responsible for creating 98 meals to feed the human spirit! Beaverton, OR— June 14, 2018, Genesis Credit, the nation’s leader in second-look financing, achieved an all-time high in originations. Memorial Day Weekend closed the month with record results for the majority of the home furnishing industry; Genesis increased originations by 30% year over year. The successful May results could be an indication of consumer confidence in the economy with the potential for increased spend throughout the remaining months of 2018. Beaverton, Oregon, February 13, 2018 — Genesis Financial Solutions, the nation’s leading provider of non-prime consumer financing solutions, announced the promotion of Evan Bryman to Chief Operating Officer. Specializing in omni-channel second-look financing programs and direct-to-consumer credit cards, Genesis serves the credit needs of millions of non-prime consumers.